A 3rd Caesarean section. 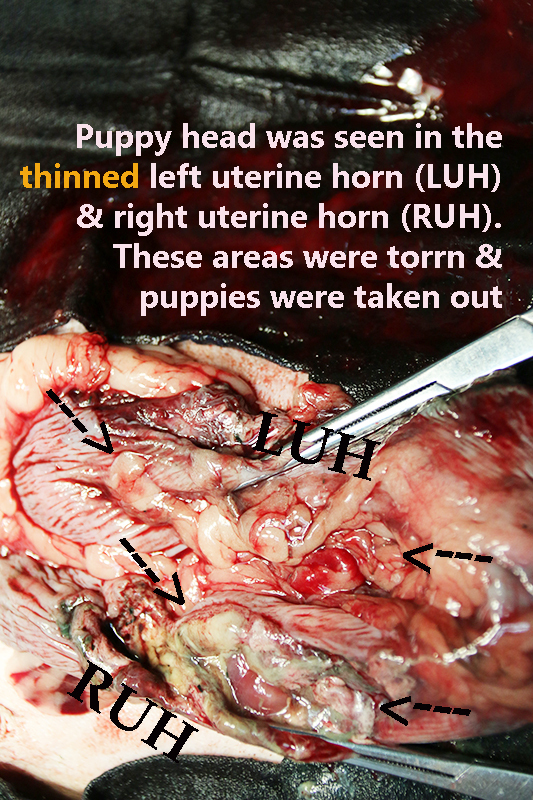 Two puppy heads seen through thin stretched right and left uterine horn, about to rupture through. You can see the areas in the video below. The two areas broke and pups were taken out. 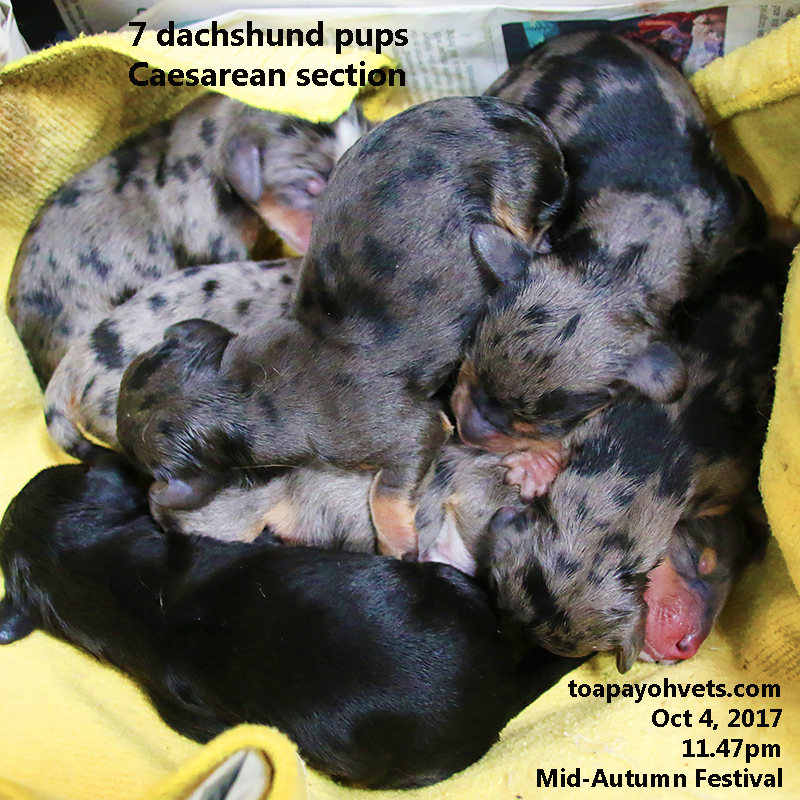 6 live pups. 1/6 was in respiratory distress. 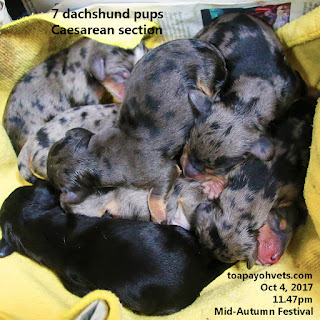 2 days later, when I operated on the 1-year-old Dachshund for emergency Caesarean section on Oct 4, 2017, the breeder reported that this distressed pup had passed away. 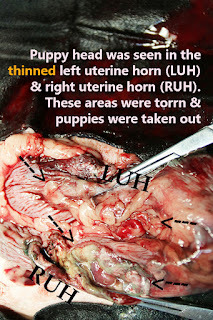 Video shows thinned uterine wall in left and right uterine horns, with a puppy head in each, about to rupture through. This area was incised and appears jagged in the above-mentioned image. Breeder was advised not to breed anymore as this was the 3rd litter. UPDATE ON OCT 20, 2017. 3 puppies at 2 days old were killed by the dam. 2 puppies were killed by biting. The other died a day later. 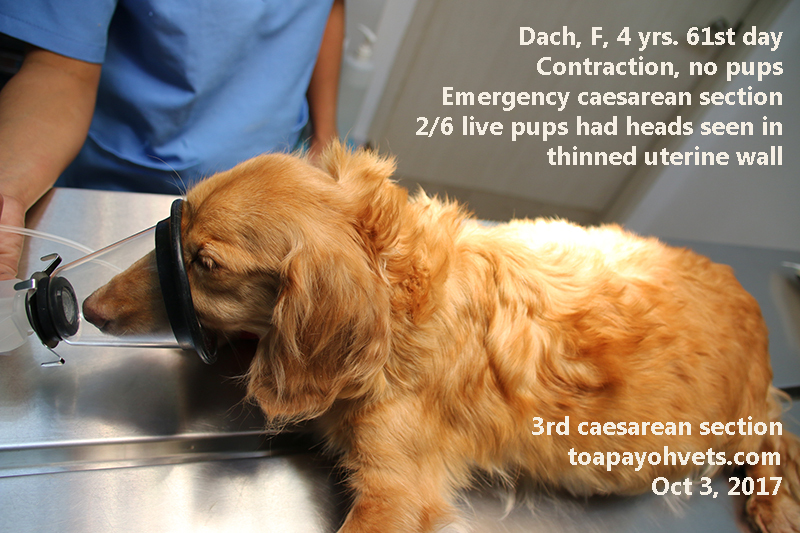 This killing of puppies by the dam does happen in dog breeding.